À semelhança do que aconteceu com a Encyclopedia of Science Fiction, disponibilizada em Outubro de 2011 graças a uma parceria entre a Gollancz e a SF Gateway, a Encyclopedia of Fantasy pode agora ser consultada online. 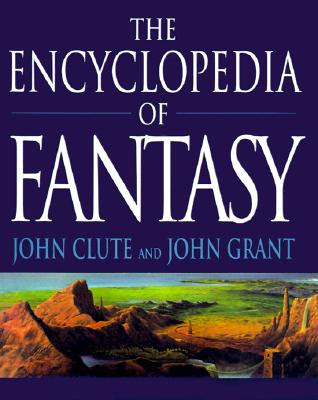 The Encyclopedia of Fantasy (1997), edited by John Clute and John Grant, was conceived as a sister volume to the second edition of The Encyclopedia of Science Fiction (1993) edited by John Clute and Peter Nicholls. For contributing and consultant editors, plus further publication details, see Title Page and Copyrights. The Encyclopedia of Fantasy won the Eaton Award for best critical book, the Hugo Award as best related book, the Locus Awardas best nonfiction, the Mythopoeic Award for general fantasy scholarship and the World Fantasy Award in the category Special Award: Professional. The online version appears by kind permission of John Clute and John Grant, and is primarily intended to clarify references to Encyclopedia of Fantasy theme or motif entries referenced in The Encyclopedia of Science Fiction: Third Edition (2011-current web) edited by John Clute, David Langford, Peter Nicholls and Graham Sleight. This digital text was originally prepared by David Langford for possible CD-ROM release in 1999 but not in fact published in this form. It incorporates corrections and addenda to that date, many of these having been included in the 1999 paperback edition and more published online (see Addenda and the Digital Edition). It has not been possible to carry out a full updating of this large text, although post-1993 death dates have been inserted where known.